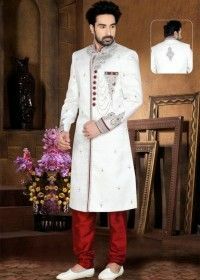 Sherwani is one Indian outfit that has become the number one option for most men owing to their elegance. 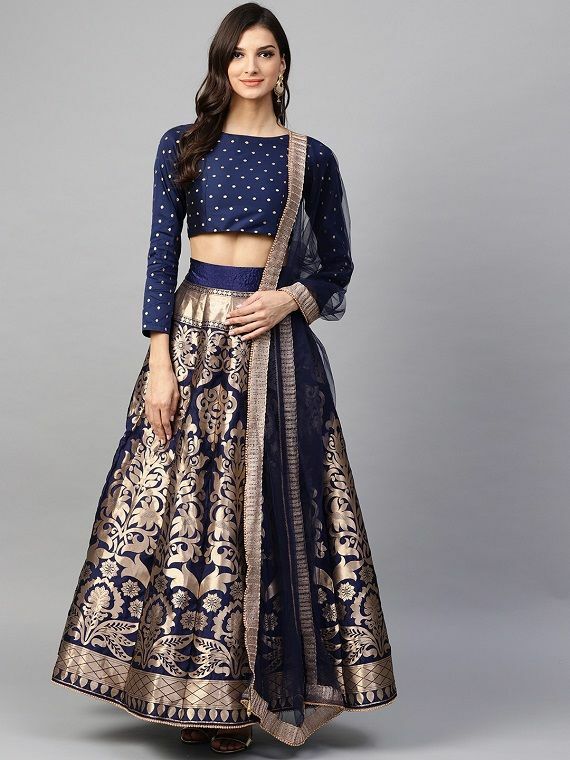 From pre-wedding ceremonies and invitation card ceremonies to sangeets and wedding receptions, this outfit is sure to make one look their best no matter what the time of day or season. Exquisite in every way, the three-piece outfit can be donned in a number of ways to bring out the best in the ensemble. With the latest trends in mind of styling the outfit to choosing the classiest color combinations, this outfit can be experimented with if you have the fashion sense to pull off bold looks, especially on your big day. Here’s a little something to help you flaunt your wedding sherwani just right! Mono-colored sherwanis have been worn, flaunted, and bid farewell to. Unlikely color combinations have become the latest trend with designers working with dual shades in making the best stylish and designer sherwanis. For those of you who wish to look trendy on their big day, here is a list of color combinations to try to make your ensemble look extraordinary and enchanting. Pinks have, more often than not, been associated with a bridal dress than what a groom is supposed to be wearing. With fashion evolving, this has become as much a color of the groom as it is of a bride. And a lovely combination of pinks with lilacs is bound to make the ensemble even more perfect. Dark shaded sherwanis are a class apart with their elegance. And paired with whites, the elegance of the darker shades is bound to increase many folds. You can either choose to wear a dark shade on top and pair it with white bottoms or go for a unique combination that is a wonderful blend both on the top and the bottoms paired. Another cool combination that is a blend of soft shades is pairing lavenders with peaches. With both shades offering a soft appearance, the two colors together are sure to leave one in awe when styled to perfection. Beige, as a color, is one that blend well with a lot many colors in a splendid way. While many of you may not agree, beiges work amazingly well with mint greens. Whether you choose a mint green fabric and add beige elements to it or opt for a beige fabric and add mint green elements, the effect of the outfit is bound to be captivating. What doesn’t go well with black? And when you have the color beige as a combination to black, you can only imagine the best ways to style the ensemble. The chance of going wrong with these two colors together is a bare minimum, making it the right choice for those who do not wish to experiment with brighter colors. Another lovely combination of softer tones is powder blue with shades of yellow. Depending on how bright you want the outfit to be, you can choose the kind of shade you wish to pair with the powder blue to create an eye-soothing combination. Here’s a suggestion for all those people who have been avoiding baby pinks and blues vehemently with the thought that it is a feminine color – DON’T! No matter how ‘unmanly’ the color may seem to you, sherwanis in these hues are gorgeous to behold and are bound to leave you looking suave and amazing on your big day. You can also blend it in a way that lets the outfit have a balance of the two shades that is more comfortable for you. A white sherwani is the perfect fairytale attire. And we can’t deny that you would get to wed your princess looking all handsome like a prince in the most beautifully stitched attire. With a little bit of gold detailing, the look of the entire ensemble can go from being plain to looking fabulous. 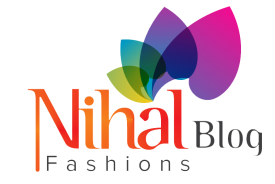 And Nihal Fashions has the perfect collection of sherwanis for men in shades that are regal to flaunt. Grey is another color that makes a man look more elegant and debonair. Paired with pale blues, you can create a combination that is worth being part of the latest trend or even being splashed on a magazine cover! 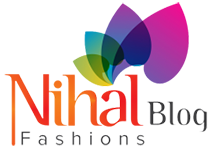 All of these color combinations certainly leave us confused. If you have a particular shade in mind, you can always look up shades that blend well with the one you have chosen for yourselves and match it with your bride’s outfit. That way, you both get to wear the color of your choice and be trendy at the same time. Couple goals have never seemed better! Smelling delightful should be on every groom’s list of things to do on the big day. After all, the heavy sherwani is bound to make you sweat buckets. The best way to make sure you feel fresh all day is to use body mist and a subtle perfume on your sherwani. While too little perfume can be disastrous, too much can have an equally dreadful effect. You certainly wouldn’t want to keep sneezing throughout the ceremony or make others uncomfortable with the overwhelming perfume. Choose something mild that stays on for long to avoid mishaps. Sherwanis, no matter for what occasion, are bound to be shimmery and eye-catching. While opting for something elegant is a given when buying a sherwani, make sure that you don’t go for options with a lot of glitter or shine. After all, the attention is meant to be on the whole of you, not just on what you are wearing. When you head to any event, especially if the event is your own wedding, it is always best to complement your outfit with that of your partner. If you partner wishes to wear a certain color, make sure what you wear blends well with their outfit. And if you are unsure of pulling off the color as flawlessly as your partner does, you can always opt for elements of that particular shade to be added to your ensemble in the form of an accessory. An outfit too tight has never managed to impress anyone. 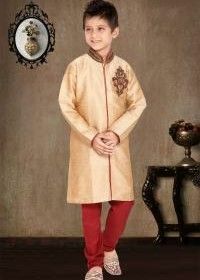 Buttons about to pop and seams about to tear a huge gap in your sherwani is hardly going to make a good impression, whether you are a guest at an event or hosting the event. When you get the sherwani stitched to your specifications, you must make sure to leave enough space in the fabric to increase its size in case you end up gaining a few pounds or inches from the time that you purchase the outfit to the time that you need to wear it. You may like bling but wearing stuff that do not belong there in the first place is a major fashion faux pas. With sherwanis, you need to be as subtle as you can be due to the fact that the outfit in itself is already captivating. Most sherwanis have the glaze and the blitz to make it appealing enough on its own. Adding unnecessary accessories are bound to make the ensemble look gaudy and loud. One thing you must realize when purchasing a sherwani is that no matter how fabulous the design may seem or how irrevocably in love with the patterns and stitch you may be from the very first glance, you must never buy something made from a low quality fabric. With sherwanis being the most important outfit of the event for the day during a person’s wedding, make sure you go for fabrics that are the highest quality even if you have to let go of the designs that stole your heart. 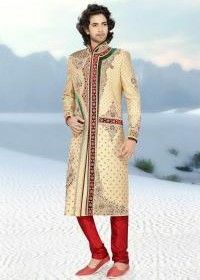 You may be quite pleased with yourself for having purchased the sherwani at a jaw-dropping price. However, that is not where your work ends. Once you have purchased it, make sure you put as much effort in maintaining the outfit. From washing and ironing to storing it right, all of these factors hold much importance in ensuring that the fabric stays in the best of conditions. 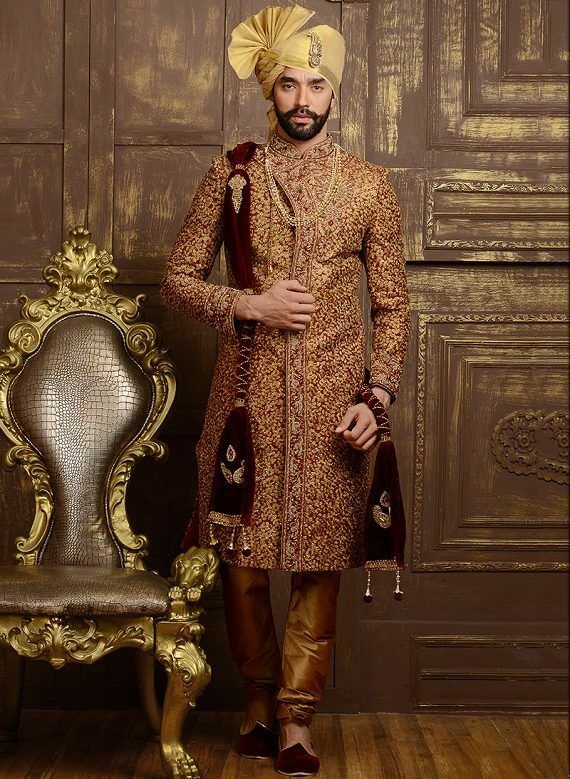 Where everyone focuses on what to do with a sherwani, all of the above-mentioned things must definitely be avoided to make sure your sherwani looks as appealing as it is meant to be. While buying a sherwani is important, wearing it right is equally important. How you intend to style it and what elements you plan to add to the mix to make it a look that flaunt your personality the best are all vital factors in helping you create an unforgettable look. No matter what you add on, make sure you don’t go overboard. Stay subtle but stylish and you are sure to rock the look. Here are some tips we have for you! No matter what style of sherwani you have on or decide on purchasing, the right footwear is essential to make a perfect appearance. With something as traditional and ethnic as a sherwani, be sure to wear mojdis or traditional Kolhapuri footwear to give it a conventional touch. If you would rather opt for something neutral, formal boots are always a great option. Do make sure the boots are polished to shining. Accessorizing your ensemble is important to make a better impression, especially if you are the groom. Being the party host automatically makes you the most important member out at any event, leaving to the most speculation and appraising glances. From jewelry and glitzy elements to an elegant watch on the wrist, all of these can make your appearance one perfect for the shutterbugs. Another thing to do while wearing your sherwani can be personalizing it. If it is your wedding, you can add elements to it that symbolize the relationship you share with your bride. Adding colors to it that mean something to you or perhaps an element of jewelry that matches the attire of both you and your bride can be a good start. Instead of wearing normal pajamas along with your sherwani, go for options that are more appealing. A dhoti that is well-pleated and flows down just right can be a great substitute to the usually worn pajamas. For those not bold enough to wear a dhoti on their big day for fear of having it untied, wearing Jodhpurs is an equally enchanting option. These are loose at the top and fitted as they taper down to your ankles. With varying fittings that let you enjoy numerous levels of comfort, the choice of bottom can be made depending on what you find comfortable, especially when you would be required to sit in the outfit for the entire evening. With the right combination, the right add-ons, and avoiding all of the common mistakes that men generally make when choosing their wedding sherwanis, you can purchase one that is bound to snag the hearts of your brides as well as woo your audience for the event. Next article Next post: Styling Ideas For Men’s Kurta Pajamas!